Home MSP business	Can an MSP Business Learn a Lesson from Tom & Jerry? 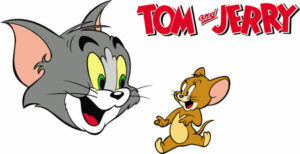 Tom and Jerry is often considered by people, like me, to be one of America’s greatest TV shows. The simplicity of this show as the two main characters shenanigans and eternal game of cat and mouse lead to hilarious battles and classic slapstick humor. Can an MSP Business possibly learn any useful lessons from these to Zany Characters? Sometimes business can be turned into a game by people that like to play making dealing with a client often feel like a big game of cat and mouse. Many customers take the time to listen to what you have to say but dislike the aspect of being “sold” and will put off the close of the sale indefinitely at times. It’s not unlike shopkeepers in street markets yelling their prices and bugging you to visit the store but you just couldn’t care less and, even more so, are turned off by their pushy attitudes. People want to think that the idea of purchasing a service is their own, turning cold calling into an intricate game of inception. In much of my experience coworkers have jumped the gun by being too eager to close a sale or have lost their cool while dealing with a disgruntled customer. Their reactions become snappy and irritated rather than staying oriented on the problem at hand. Often times people don’t like to be “sold” over the phone or anytime really. They become the cat that is too eager to catch the mouse and ends up losing it in the end. The cat needs to remain calm and employ his many skills acquired by not only having a product they believe in, but coupling that with the gift of coercing a customer and planting an idea with them that resonates. Having these skills will certainly be of use both for stalking prey and selling your MSP Business services. This can stop your sales people from wasting their time chasing the mouse.